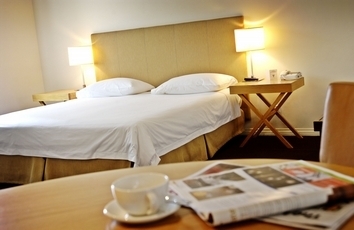 Hotel Richmond is located in the heart of Rundle Mall with 30 contemporary designer guest rooms and suites. The property offers the only actual accommodation in the mall. 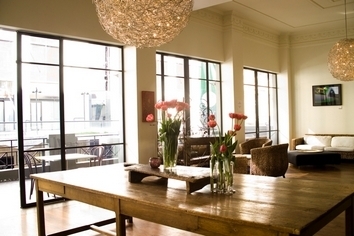 The hotel also boasts "first" restaurant, bar and lounge. Spanning the entire first floor, it's grand marble bar, cosy lounge areas and spacious balcony provide the perfect environment to enjoy a contemporary dining experience or quiet drink open for Breakfast & Lunch 7 days and Dinner 6 days. With Adelaide's friendliest and most attentive service, your stay at Hotel Richmond is guaranteed to be relaxing and enjoyable. Superior Rooms are open planned with a king size or twin beds and contemporary furnishings. Photocopying and Printing available from Guest Services. Check in is any time from 2pm and credit card details will need to be taken upon arrival. Studio Rooms and Suites can accommodate a maximum of 3 guests. All other Rooms can only accommodate two guests. All prices quoted for rooms and suites are for 2 guests. An extra person charge is $45.00. If you wish you to have your car valet parked proceed to Austin Street and park in a loading zone. Our reception is on Rundle Mall and can be accessed via the Rennaisance Arcade. Valet parking is charged at $23.00 per 24 hours. 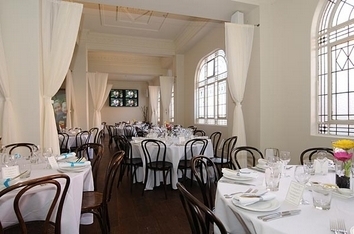 Located in the heart of the city in Rundle Mall.